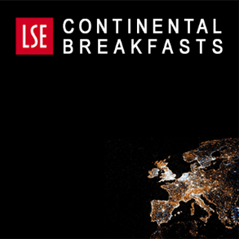 German economic policy advisor Jeromin Zettelmeyer (far left) joined the LSE’s Simon Hix (near left) and former UK business secretary Vince Cable on 7 September to discuss how Germany plans to negotiate Brexit. How much will Angela Merkel – herself under domestic pressure – be prepared to concede to keep the UK in the Single Market (assuming Britain wants to do so)? What does Germany want out of the final agreement? Robert van Geffen reports on the discussion. Jeromin Zettelmeyer, speaking in personal capacity, opened the discussion by stating that at the moment there was no official German position on the future UK-EU relationship, other than “we will make the best of it”. However, it was clear that any reasonable EU government with a strong interest in preserving the EU, such as Germany or France, would try to pursue three objectives. First, to limit mutual economic damage by maintaining maximum integration. Second, to deter copycat behaviour by other EU countries. Third, to avoid strengthening domestic populists with similar views as the Leave campaign in the U.K. The latter was particularly important in France. Creating a trade-off: the concessions to the Leave camp had to be balanced by the loss of desirable features of EU membership. With respect to the second point, the Brexit campaign had emphasised both opting out from common standards and the legal framework defining the single market (“Brussels rule”), and opting out from free movement of labour. Zettelmeyer took the view that the EU might offer the UK some version of the latter but not the former, as common standards were more critical to economic integration than limits to migration, and some form of migration control seemed to be non-negotiable from a UK perspective. With respect to the third point – how to create a trade-off – there were presently two views on the continent. The hawks were arguing that the trade-off involved loss of single market access proportional to the restrictions desired by the UK on free movement of labour. This loss might occur particularly with respect to financial services. In contrast, the doves were prepared to be more generous on maintaining full single market access, even with restrictions on free movement of labour, and would instead establish the trade-off via limited participation in the EU decision making process. In return for access to the common market, the UK would need to accept state aid rules, competition decisions, and most EU standards. As argued in a recent paper by the think tank Bruegel, it might be offered an informal, political voice in the EU decision making process – but without a veto right and without participation in the legal decision making structure. The hawkish view was currently more prevalent among governments and EU institutions than the dovish view. The dovish vision offered a bigger chance to maintain economic integration, and was also attractive as a possible template for integration with countries to whom the EU may not want to offer full membership, such as Turkey and Ukraine. The critical question, however, was whether the trade-off embedded in the dovish view was strong enough to deter copycats and domestic populists. Would they want the same deal? Furthermore, while entirely unfettered movement of labour may not be essential for the single market, it was essential for the operation of a currency union. The dovish view may be dangerous if it was seen to effectively endorse the view that restricting the movement of labour is OK, and this leads to barriers to labour mobility even within the currency union. So a sharp distinction between the rules in the Euro area and outside might have to be drawn to avoid a slippery slope. This would not be easy, because the current trend was already toward reducing out-of-work welfare benefits that may facilitate mobility of workers, even within the Euro area. social tourism to exploit benefit system. In Germany there is support from across the political spectrum to tackle the issue of exploitation of the benefit system. Restricting access to benefits could be a way to deal with populism. It is important that the two issues are being kept separate though as they could otherwise lead to a negative attitude towards hardworking Eastern Europeans. Brexit is likely to lead to a reduction in economic activity which will mean that fewer people will be attracted to move to the UK as there will be fewer jobs available. This expected reduction in immigration could actually help with getting an agreement between the UK and the EU as immigration could become a less contentious issue. Any deal on immigration will however be difficult to get through the Cabinet given the diverging views on the importance of immigration for the economy vs addressing the concerns expressed by voters during the referendum. A reduction in migration might not only take place in industries aimed at by the Leave camp, but the outcome of the referendum could also affect the number of overseas students coming to the UK because of the Eurosceptic sentiments and reducing economic activity, compounding the negative impact on EU research funding for UK universities. First an EEA-type arrangement – but what next? Simon Hix noted that in terms of the position of the UK government, it is clear that Theresa May and other “remainers” in the Cabinet are looking for an EEA-type arrangement, at least for the interim transition period. This will then give the UK government sufficient time to work out a future trade arrangement. The problem for the UK, (as the Institute for Fiscal Studies has also explained,) will be that trade deals that cover services are still relatively rare and it takes a long time to agree them. Trade deals that genuinely enable services trade, such as Single Market membership, tend to involve regulatory recognition and harmonisation. The vast majority of the UK’s economy and export is in services. Financial services are an obvious example where the UK has a significant trade surplus with the EU but the creative industry is also an important service exporting sector. As the Office for National Statistics has published, the EU is a large market for the UK with 44% of exports in goods and services going to the EU. Business services and finance form about a third of the UK economy, driving the UK’s trade surplus in the services with the EU. German economic strengths suggest that Germany has a clear interest in reaching a deal with the UK. The country currently has a net trade surplus with the UK, which buys many German exports. For Germany, the users of financial services products (i.e. big corporates) will have a bigger say in the negotiations than the producers of these financial services who will be mainly based in the UK. CDU MEPs have already said that Germany should not play hardball with the UK. On the other hand, the SPD in Germany is saying that any restriction on the free movement of people has to result in some market access restrictions. It will have to look painful for the UK in order to avoid other member states being interested in negotiating a similar arrangement. However, it is thought that the risk of contagion is overestimated and that the UK is a special case. For many years the UK has had a special status in the EU, and it is unlikely that other member states will seek to negotiate a similar status or will be given one by the remaining EU member states. Simon Hix warned that a problem which the UK could be faced with during the negotiations is that the UK often overestimates its ability to win support from Germany. In recent years there have been a number of occasions where the UK believed it had German support, but it turned out not to be the case. For example, the UK thought it had the support of Germany in the negotiations on the Stability Pact as well as the appointment of Juncker as Commission President. On both occasions Germany decided to change its position and leave the UK isolated. Also during the pre-referendum negotiations Germany was not willing to give the UK Government certain concessions on labour mobility which would have helped them to present a convincing case to the UK electorate. The UK Government should therefore not rely too much on being able to gain support from the German government for its demands. This is an issue that would seem to go beyond Germany. As argued by Agata Gostynska-Jakubowska of the Centre for European Reform, Theresa May will find it difficult to win hearts in Brussels. She argued that Britain tested the patience of the EU institutions with its reform demands, and Brussels will be reluctant to make things easier for the UK in Brexit talks. Member states may be more receptive to Britain’s concerns, but the UK will probably not be offered any special treatment. The referendum outcome, and the rise in populism in countries such as France, Italy and the Netherlands, is likely to have reduced the capacity for member states to rise above their national interest and act in the interest of the common good. It was noted though that, given the pressure of populism around Europe, there could be a reform on the free movement of people in the EU at the same time as the EU-UK negotiations are taking place. Simon Hix would consider a positive outcome of the negotiations for the UK to be some bespoke EEA-type arrangement with an emergency brake. A disastrous outcome would be a mixed agreement including reforms for the EU27 architecture which would require a process of ratification in all member states. Given the rise of Euroscepticism across Europe this could be very problematic as some EU member states have requirements to hold national referendums on Treaty reforms. Vince Cable argued that European ministers are unlikely to support the reform that Britain is looking for. Germany for example is not, and has never been, really interested in developing a single market in services. For instance, the single market in digital services does not have German support. Germany’s economy is focused on the export of goods rather than services which is why the single market works particularly well for them. People in Germany are puzzled about the referendum. First of all, it is difficult to understand why the UK decided to have a referendum without requiring a higher than 50% threshold to end the existing EU/UK relationship. It is also difficult to understand why the UK government did not have a plan B. In terms of where the post-referendum negotiations are heading, it is clear that Theresa May is trying to keep the UK as much as possible integrated into the EU with some restrictions on the free movement of people. The UK government seems to believe this outcome is achievable. It is likely that the UK can keep access to the single market for some industries but not for others. The UK has always cherry-picked in the EU so it might be possible to continue doing so. It is clear that in the UK all focus is now on how the migration issue should be dealt with and Theresa May has, as a former Home Secretary, a personal interest in getting the immigration question right. The Brexit supporters in government do not seem to have a clear understanding about possible alternative arrangements and how the exact trade-off between migration and single market access works. Importantly, it should be asked what has all of this done to the UK economy? The shock that was predicted does not seem to have happened and the predicted negative impact on consumer confidence has not filtered through. An impact on investment can however still be expected with higher import prices and reductions in foreign direct investment. To address this potential risk to the economy, the UK government can start investing more and might announce this in the Autumn Statement in November. The question is what Brexit will do to the longer term economic outlook for the UK. It will take a few economic knocks before people start to understand the potential negative impact of Brexit for the UK. An issue was raised about the actions of the Bank of England following the referendum. The Bank had decided to lower interest rates and start a new round of QE, trying to minimise the negative economic impact of Brexit. However, by doing this, the Bank is by some accused of undoing or postponing the economic impact of a democratic vote, thereby indirectly supporting the case made by the “hard” Brexiteers. It was noted that the Brexit supporters have already started talking about betrayal in terms of “unless we get out of all EU regulations the Government is betraying the will of the people”. This would indicate that there will be a continuing push for a “hard Brexit”, leaving the UK completely outside any single market arrangement. Some key Ministers in the Government are strong supporters of this. It is questionable whether Theresa May will be given much freedom in the negotiations by her Cabinet and the UK Parliament. If becoming a rule-taker is not acceptable for the UK, this will lead to a difficult position as in that case only a free trade agreement would work. If the UK wants to sell products to the EU it will, however, need to comply with certain regulations with regard to product standards and importantly also the production process. American citizens probably do not realise the extent to which even American companies are complying with EU regulations. Even if there is a “hard Brexit” with only a free trade deal, there will not be full control for the UK. From the discussion it is clear that Germany is taking a wait-and-see approach and is expecting the UK to take the first step to start the negotiations. 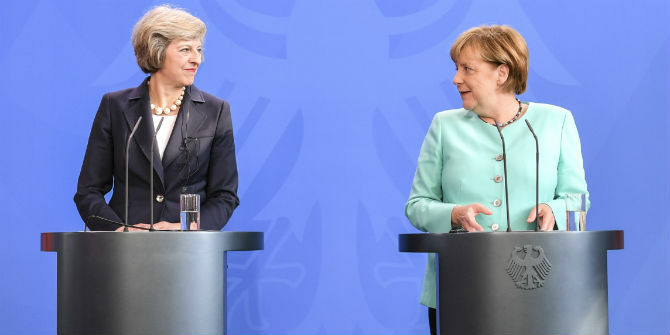 At the same time, there are elements in the German government willing to discuss the possibilities to limit labour mobility while maintaining an open trading relationship with the UK. There is however not a unified position on this in German politics and there is likely to be resistance against this from other member states and the European institutions. Potential reforms in the EU27 to limiting access for other EU nationals to domestic benefit systems could take place at the same time as the UK-EU negotiations. The UK should not expect to get significant support from Germany during the negotiations though. It is generally expected that there will be an economic impact because of Brexit. This in turn could lead to a reduction in immigration from the EU which could take the heat out of the debate. But the UK government will remain under pressure to deliver a deal on taking some control over immigration, and Theresa May will have a personal interest in delivering on this. Jeromin Zettelmeyer is a senior fellow at the Peterson Institute for Inernational Economics and was Director-General of Economic Policy at the German Ministry of Economic Affairs and Energy until September 2016. 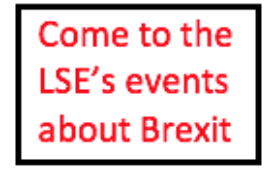 Simon Hix is Harold Laski Professor of Political Science at the LSE. Vince Cable is Professor of Practice at the LSE Institute of Global Affairs and a former UK Business Secretary. What would a pro-European hard Brexit look like?